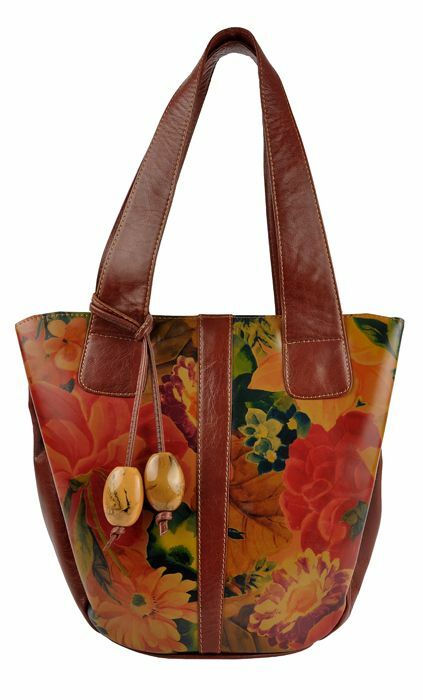 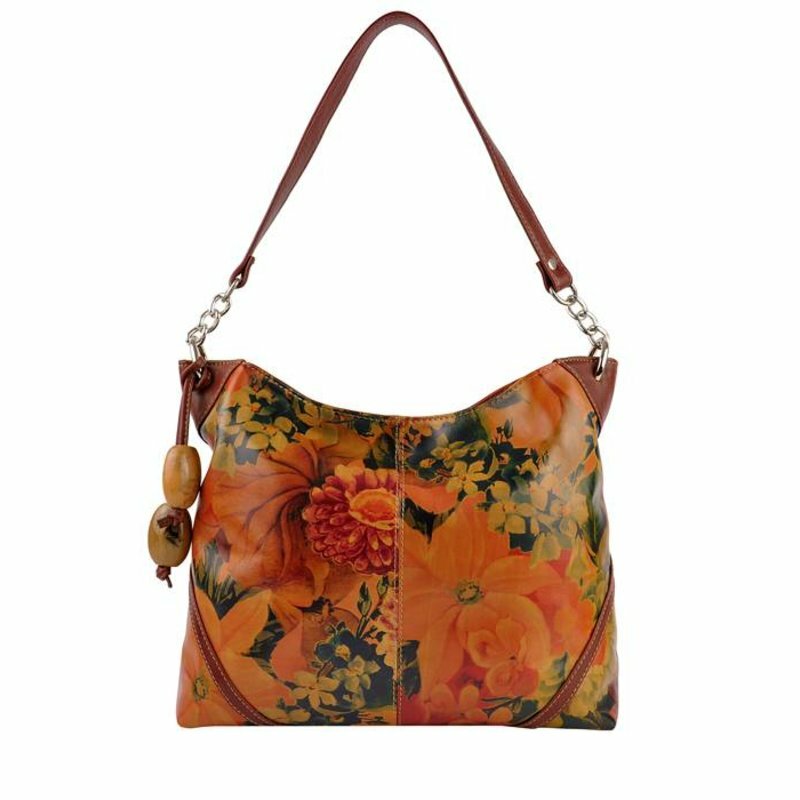 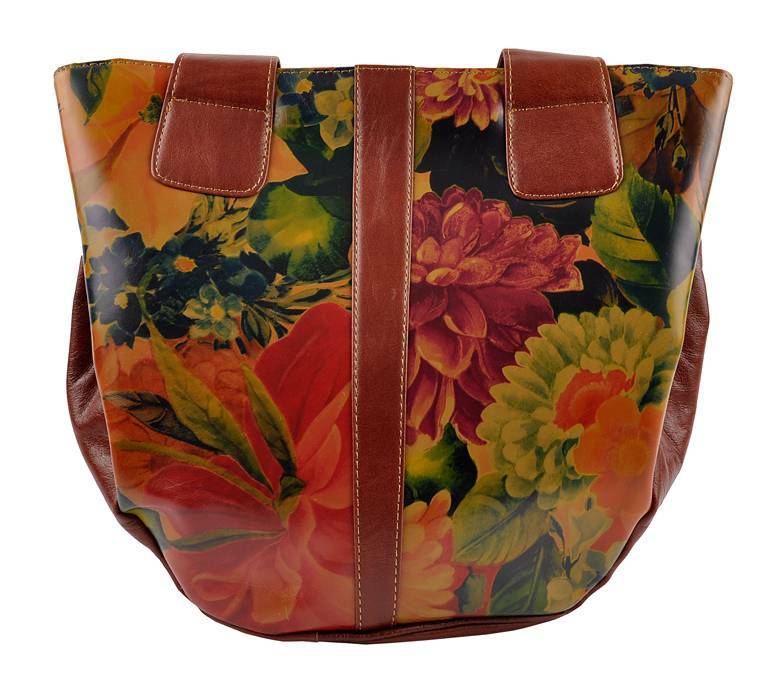 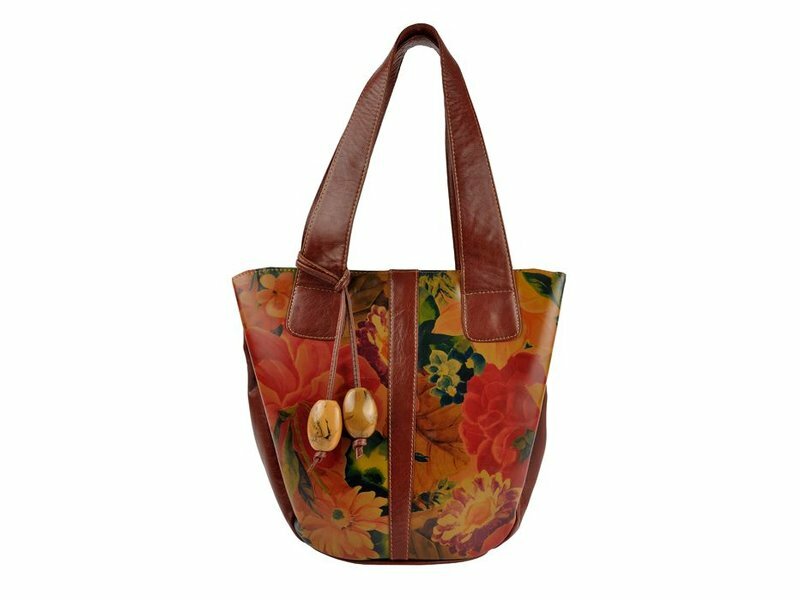 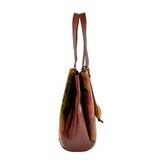 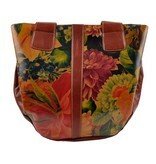 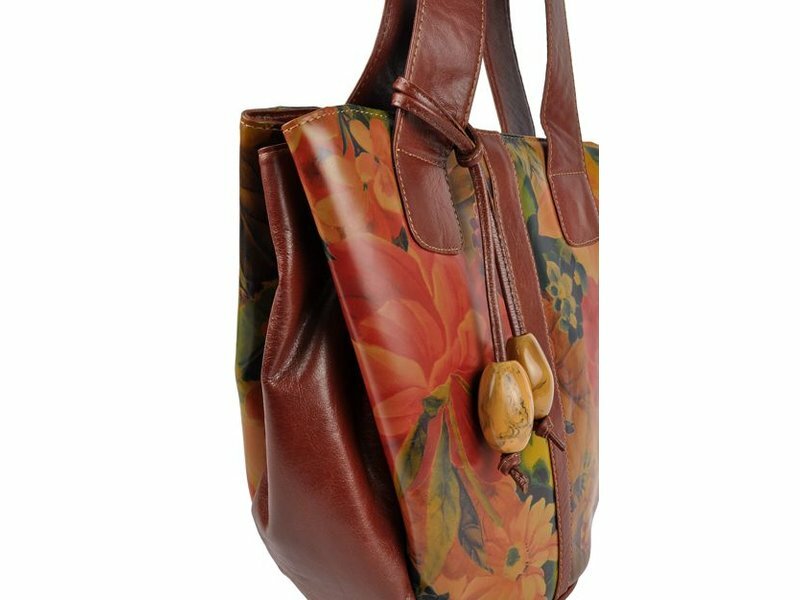 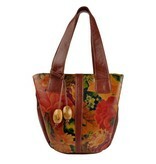 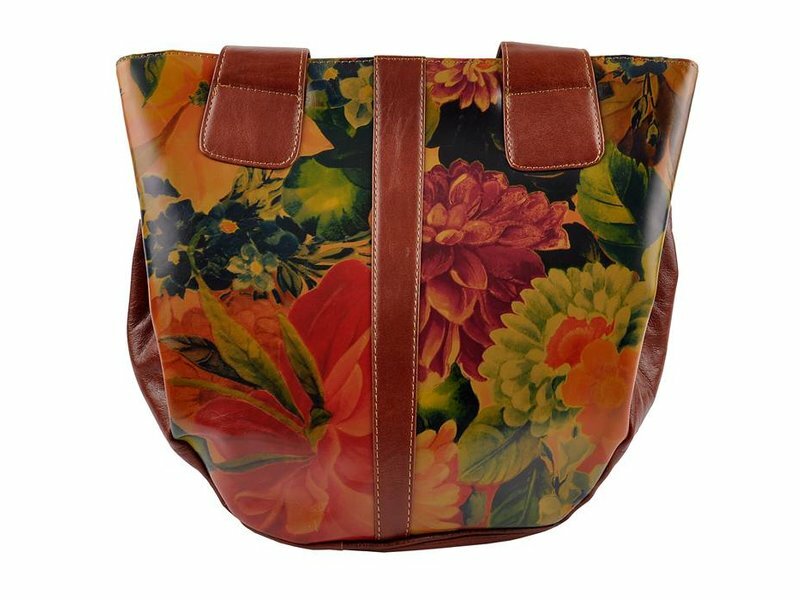 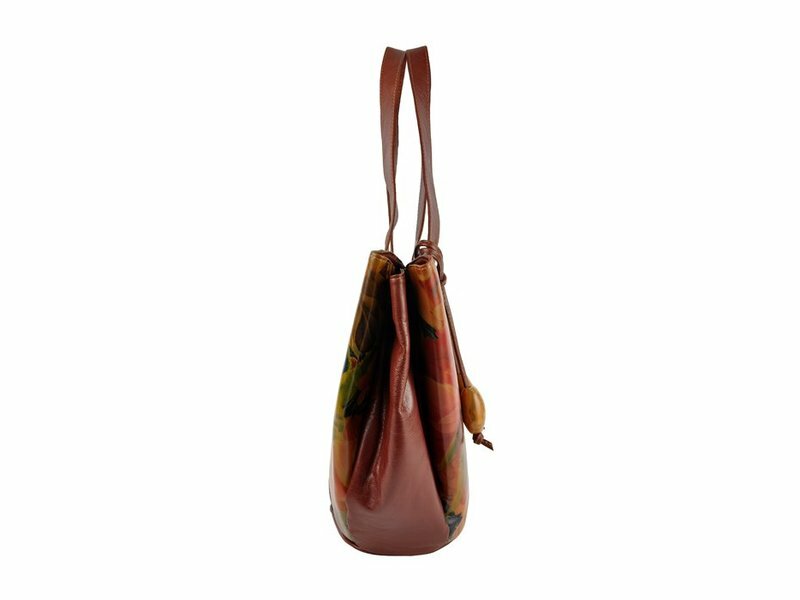 This leather shoulder bag has a joyful floral print. 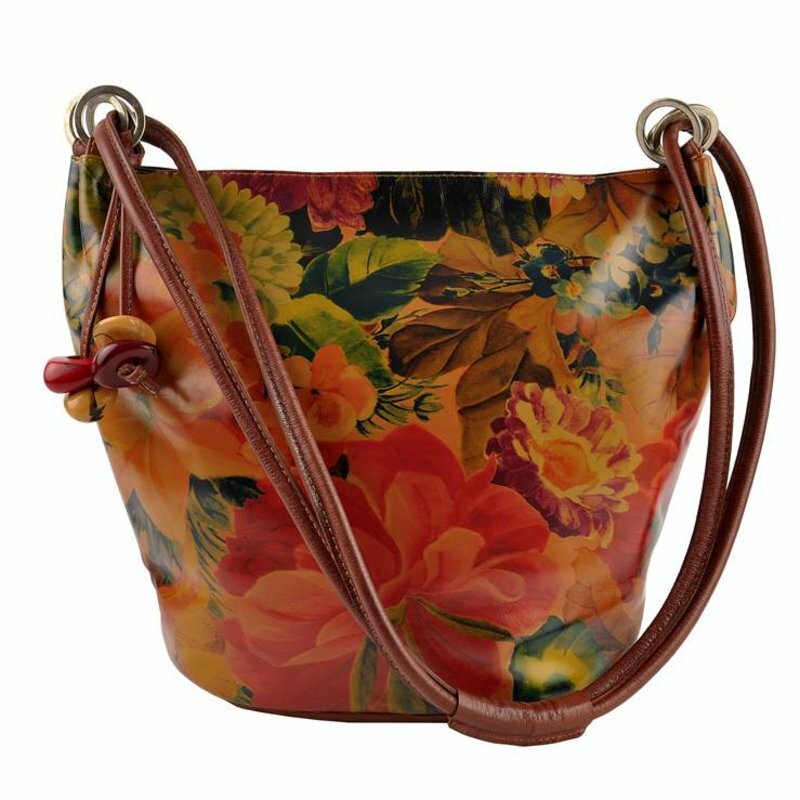 This print is typically Argentinian. 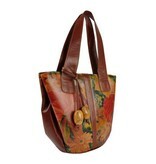 The bag is quite sturdy, a little stiff and has smooth leather. The sides are slightly more flexible. 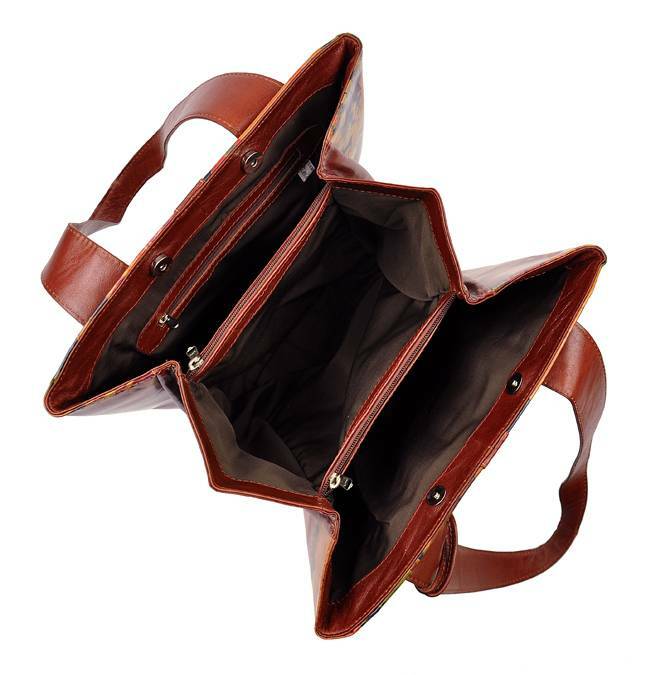 The bag closes by means of two strong magnetic push buttons. 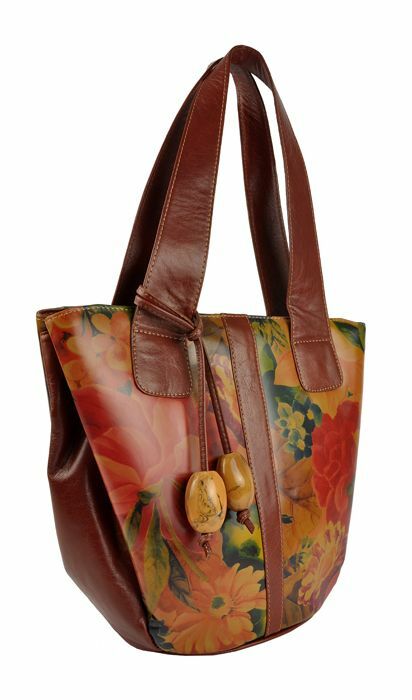 At the front is a detachable leather cord with colored plastic stones. 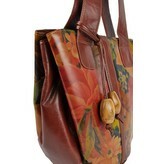 The wide leather handles are firm and supple. 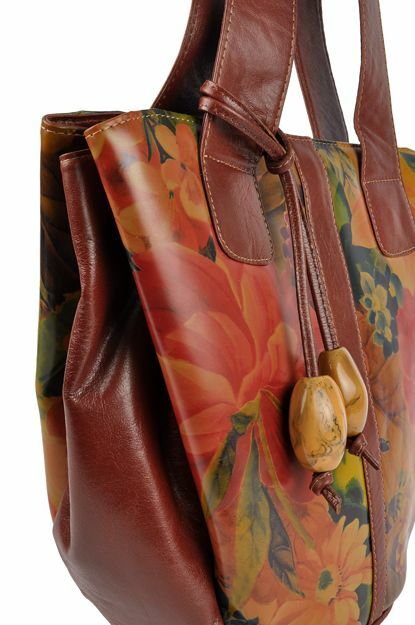 The dark brown lining is made of textile. 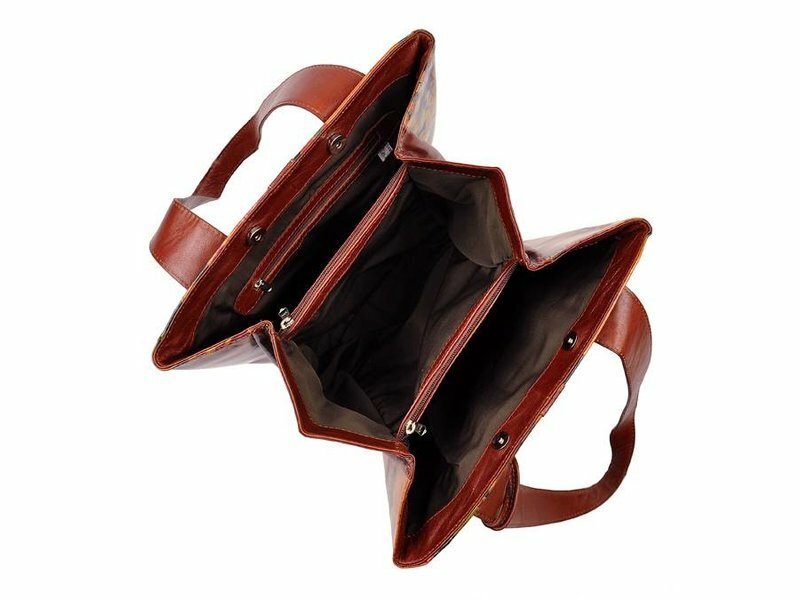 The bag has plenty of storage possibilities: 3 large, spacious open compartments with in between 2 zippers and zippered compartments on the side. 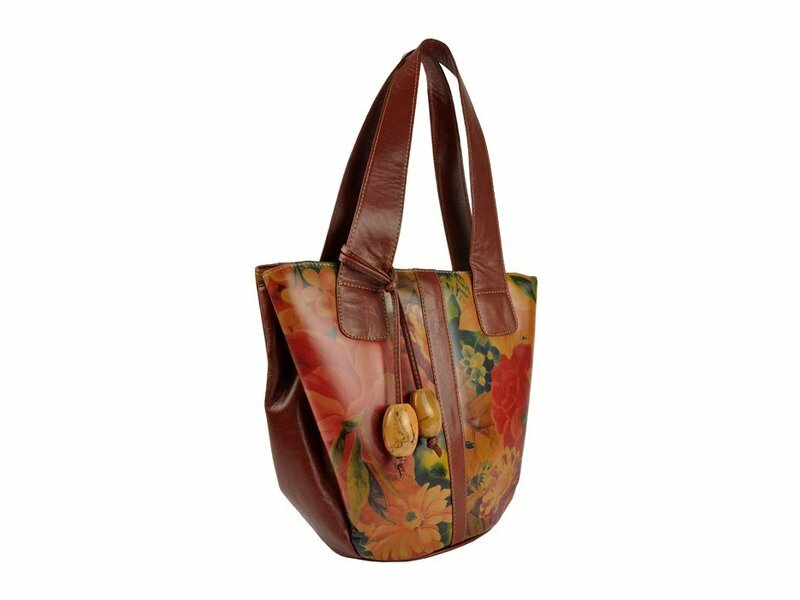 This leather shoulder bag is fully handmade.